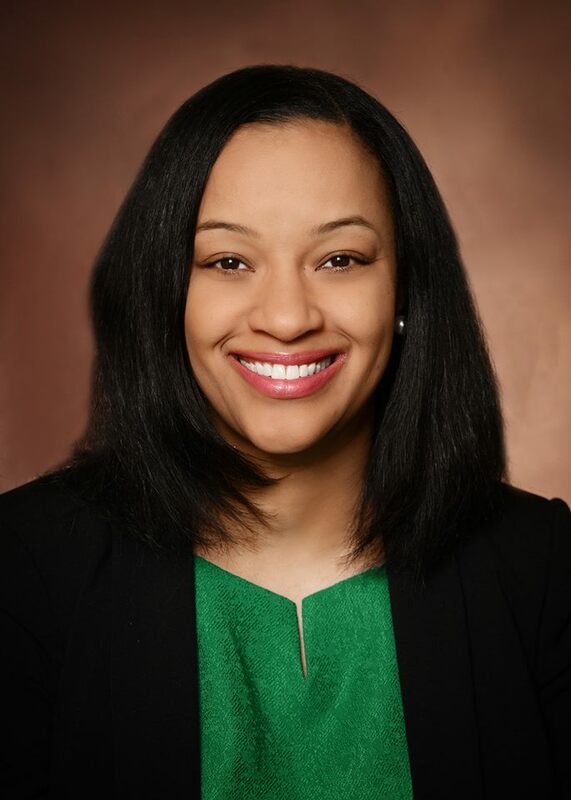 When the Illinois Supreme Court suspended Judge Jessica A. O'Brien's law license on April 26 it did not remove her from the bench. Instead, the Court referred the matter to the Judicial Inquiry Board. And, today, the Judicial Inquiry Board filed a Complaint before the Illinois Courts Commission seeking Judge O'Brien's suspension from office without pay pending further order of the commission. O'Brien's federal conviction on mortgage fraud charges is not the immediate cause of today's complaint. Rather, today's action is probably best seen as an attempt to resolve something of a constitutional crisis. Article 6, Section 11 of the 1970 Illinois Constitution provides, in pertinent part, "No person shall be eligible to be a Judge or Associate Judge unless he is a United States citizen, a licensed attorney-at-law of this State, and a resident of the unit which selects him." That language would have been sufficient to prevent O'Brien from becoming a judge (as it in fact prevented the late Rhonda Crawford from taking judicial office) -- but O'Brien became a judge years before federal charges were brought against her. And, according to Article 6, Section 15 of the Illinois Constitution, only the Illinois Courts Commission, acting on a complaint brought by the Judicial Inquiry Board, can remove a judge from the bench. O'Brien clearly does not want to resign, at least not while her post-trial motions remain pending. And her post-trial motions are still pending. Just today, in fact, the government filed a motion seeking a seven day extension (to July 2) for it to respond to O'Brien's 70 page post-trial motion. Assuming that the motion will be granted (the government represents that the motion is unopposed), O'Brien's reply in support of her motion will be due on August 1. First elected in 2012, O'Brien would be up for retention this November -- and she has filed for retention. Indeed, according to today's complaint by the JIB, O'Brien filed for retention after her law license was suspended on April 26 (complaint, par. 13). Respondent's continued presence as a member of the Illinois judiciary, despite the Illinois Supreme Court's suspension of her license to practice law in response to a jury verdict of guilty on two federal criminal charges, is prohibited by the Illinois Constitution and undermines public confidence in the judicial system. As such, it is prejudicial to the administration of justice and has brought the judicial office into disrepute. Specifically, the JIB complaint against O'Brien alleges that, by remaining in office after her law license has been suspended, O'Brien violates two of the Canons of Judicial Ethics (Supreme Court Rules 61 et seq.). (A) A judge should respect and comply with the law and should conduct himself or herself at all times in a manner that promotes public confidence in the integrity and impartiality of the judiciary. Respondent is currently pursuing post-trial remedies in the federal court. The process she is due is clearly set forth in the Federal Rules of Criminal Procedure. At this time, there is no final judgment, and Respondent still has the opportunity to be found innocent under those Rules. See, Berman v. United States, 302 U.S. 211, 212 (1937) (holding, "[f]inal judgment in a criminal case means sentence. The sentence is the judgment.") This Court should allow Respondent to exhaust her due process rights before making any determinations related to her law license or judicial office. Today's complaint would appear to be an effort to sidestep the ultimate question of O'Brien's guilt or innocence on the bank fraud charges. The issue framed for the Courts Commission is whether O'Brien's remaining in office after the jury verdict undermines public confidence in the judiciary and is consistent with the high standards of conduct that citizens are to expect from judicial officers. Significantly, the JIB complaint does not necessarily seek to remove O'Brien from the bench, only from the payroll. 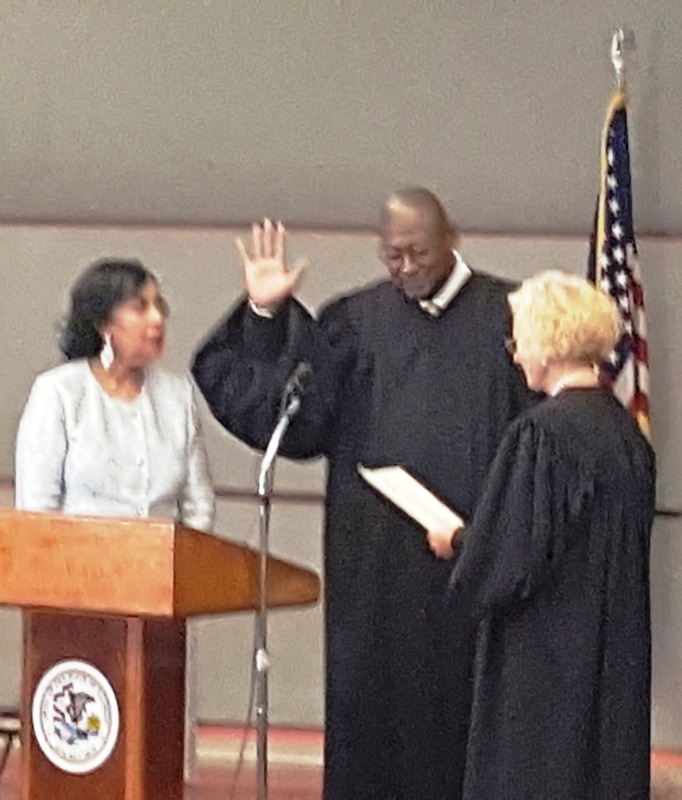 Before a packed Thompson Center auditorium audience that included many of his colleagues from the Illinois Appellate Court, Justice P. Scott Neville, Jr. was sworn in yesterday afternoon as the 117th justice of the Illinois Supreme Court. 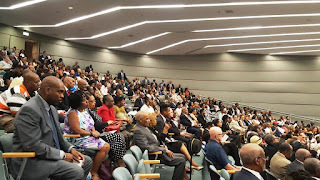 Justice Neville's sister, Professor Florise Neville-Ewell of the Western Michigan University Cooley Law School, introduced Appellate Court Justice Shelvin Louise Marie Hall, who served as Mistress of Ceremonies. 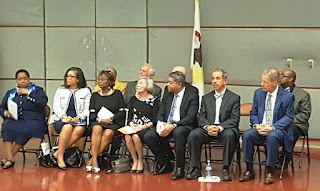 A dozen speakers offered congratulations to and reminiscences about Justice Neville: State Sen. Kwame Raoul (13th); State Rep. Barbara Flynn Currie (25th); Cook County Board President Toni Preckwinkle; Justice Terrence Lavin, Vice Chair of the Executive Committee of the Illinois Appellate Court, First District; Chief Judge Timothy C. Evans of the Cook County Circuit Court; Judge Andrea Buford, Chairperson of the Illinois Judicial Council; Judge James E. Snyder, President of the Illinois Judges Association; Judge Ramon Ocasio, President of the Latino Judges Association; Allen Nettles, a law school classmate of Justice Neville at Washington University; Dr. Conrad Worrill, the retired Director of the Center for Inner City Studies at Northeastern Illinois University and a Neville family friend; Josephine Wade, the owner of Captain's Hard Times Restaurant on E. 79th Street; and Dartesia A. Pitts, the President of the Cook County Bar Association. Pastor David B. Thornton, of the Sixth Grace Presbyterian Church, offered the invocation and benediction and Felicia Coleman-Evans, accompanied by Elsa Harris, provided music. 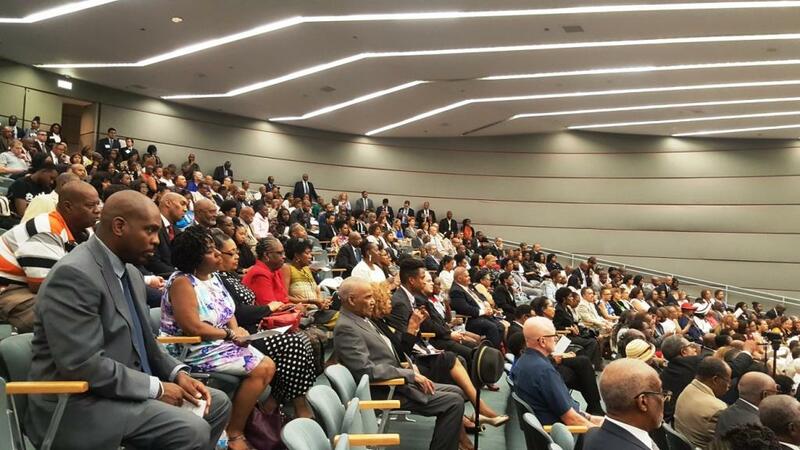 Outgoing Justice Charles E. Freeman was lauded by virtually every speaker, as were the late Appellate Court Justices Glenn T. Johnson and R. Eugene Pincham. In his remarks, Justice Neville praised Justices Johnson (for whom he clerked) and Pincham as the mentors of his legal career and Justice Freeman as the mentor of his judicial career. In his service on the Supreme Court, Justice Neville said repeatedly, no one will be unseen, no one will be unheard ("whether pro se or no say," he added at one point, to applause). Neville did not announce that he will appoint a committee to screen judicial candidates, but he pledged to work with the Alliance of Bar Associations for Judicial Screening (the United Nations of bar associations, he said) to vet his appointments. I have "complete confidence" in the Alliance, Neville said, because I co-founded that group. Justice Neville proposed that every court should be a "court of record" -- that court reporters, or at least tape recorders, be present in every courtroom so that there is a record in every case and no case is ever "bounced" in a court of review for lack of a record. Justice Neville suggested that this could be financed by law firm donations, though he did not specify how this might be done. Personal opinion, clearly labeled as such: This is a great proposal. Personally, I'd prefer live court reporters in every courtroom for every hearing and trial. While I've been impressed with the quality of transcripts I've seen transcribed from tapes in DuPage County, I think a live court reporter in the room would provide the best, and most accurate, record. But the cost would presumably be substantial -- and the funding of such a laudable venture would be problematic. Justice Neville also proposed that the State should organize a trial bar, like that utilized by the United States District Court for the Northern District of Illinois. 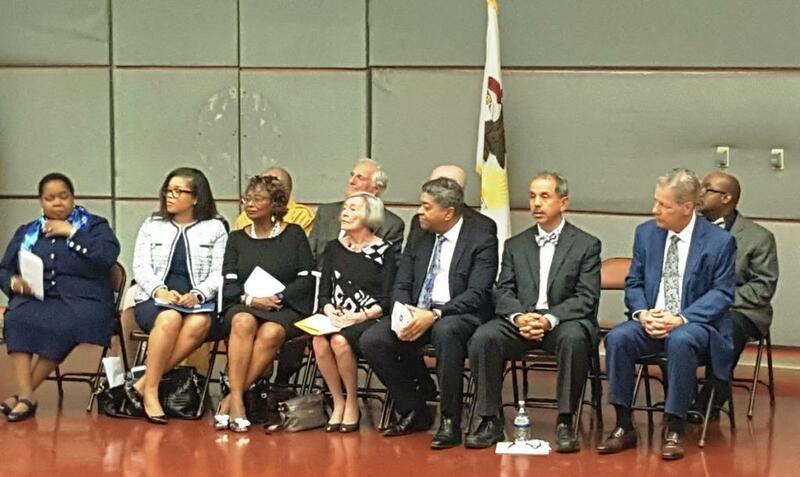 Fully half the litigants in Cook County, Neville said, are unrepresented. They may be effectively denied access to justice on account of their inability to navigate the tricky shoals of the justice system. Lawyers from the proposed 'trial bar' could be appointed to assist these litigants, Neville suggested. Personal opinion clearly labeled as such: This is a terrible idea. While the pro se problem is real and a true access to justice issue, the solution is not to impose yet another unfunded mandate on the bar. The problem is an economic one: Litigation costs too much. Note that I did not say lawyers cost too much. There are a privileged few -- a very few -- who command $1,000 or more per hour for their services. But there are a great many lawyers struggling to pay the rent, who charge far, far less -- and who can't collect the fees they do charge. The truth is that, for too many litigants, the cost of obtaining, and paying for, a lawyer is the only litigation cost that can be "controlled." Even though judges recognize the folly of this -- like cutting off one's nose to spite one's face -- litigants too often forego the services of a lawyer (or, as litigation costs mount, stop paying their lawyer). By reducing the cost of litigation, we will reduce the numbers of pro se litigants -- and increase employment opportunities for lawyers. (See my 2017 article, Solving the Pro Se Revolution, and putting lawyers back to work, too.) And how do we reduce litigation costs? We move from "routine" (and prohibitively expensive) discovery to a system of zero-based discovery. Of course, serving as a fair but skeptical gatekeeper in discovery matters will take effort on the part of the judiciary, but the courts have always had the power to control discovery. And better this than to respond to one economic injustice by imposing another. I suppose it is unwise for a mere solo practitioner to stake out a policy disagreement with a newly-installed Supreme Court justice on Day One of his tenure. But, then, I never was much of a politician. And this is too important. FWIW is a little late to the party, but the AOIC has announced James A. Wright as the winner of the runoff for the 17th and final spot in this year's class of Cook County associate judges. 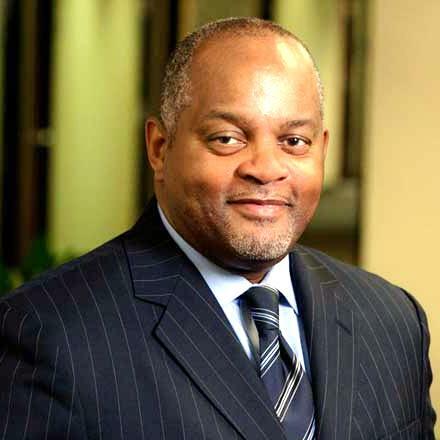 Presently of counsel to the firm of Chico & Nunes, P.C., and licensed as an attorney in Illinois since 1989, Wright has also served as Chief of Staff for the Chicago Board of Education, as Inspector General for the Illinois Toll Highway Authority, and as the Executive Inspector General ("EIG") for the Agencies, Board and Commissions under the Illinois Governor, (the Office of the Executive Inspector General, or "OEIG"). Wright obtained a CPA in 1981 and also holds an MBA. For more, see Jordyn Reiland's article in the June 12 issue of the Chicago Daily Law Bulletin (subscription required). George N. Leighton, the man for whom the Cook County Criminal Courthouse has been named, has died at the age of 105. A former Cook County Circuit Court judge, and the first African-American to sit on the Illinois Appellate Court, Leighton was appointed to the U.S. District Court for the Northern District of Illinois in 1976. He took senior status on the court in 1986 and returned to the private practice of law in 1987, retiring, finally, in 2011, at the age of 99, from the law firm now known as Neal & Leroy. 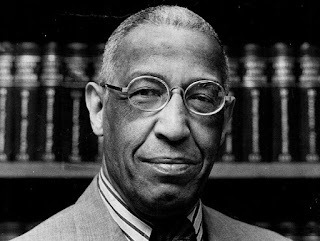 A graduate of Howard University and Harvard Law School, Leighton was a veteran of World War II, rising to the rank of Captain in the U.S. Army. Supporters of David Studenroth's 12th Subcircuit bid are holding a fundraiser for their candidate on Thursday, June 14, from 5:30 to 7:30 p.m., at Stormy's Tavern and Grille, 1735 Orchard Lane in Northfield. The Northfield Bar Association is hosting this event. Food, beer, and wine will be provided. Tickets are $75 each, but sponsorships are available (Silver - $150, Gold - $250, Platinum - $500). For more information about the event, or to reserve tickets call Frank DiFranco at (847) 825-7744 or email him at difrancolaw@aol.com. Most of the Cook County judges seeking retention this November have collectively launched a campaign website and campaign Facebook page. 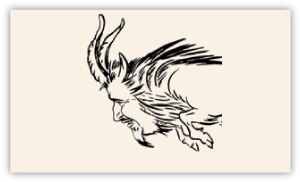 Those are links to the respective sites in the preceding sentence; the image here was obtained from the Facebook page. The retention judges fundraiser has already been set for Monday, September 17, from 5:00 to 8:00 p.m., at the Preston Bradley Hall in the Chicago Cultural Center. Tickets are already on sale. Individual tickets will cost $125 each, and sponsorships are available (Silver - $1,000, Gold - $2,500, Platinum - $5,000). The Silver sponsorship comes with five admission tickets, the Gold with 10, and the Platinum with 20. Tickets may be ordered at this page of the retention judges' website. Most of the amended Supreme Court Rules issued by the Supreme Court at the end of May are fairly technical and uncontroversial. But two of the changes are more interesting than the others. On May 25, the Illinois Supreme Court issued amendments to Supreme Court Rules 341, 352, and 756. Then, on May 31, the Court issued an amendment to Rule 39. The change to Rule 341 is one of the noncontroversial ones. The last sentence of Rule 341(h)(7) has been changed from "Points not argued are waived..." to "Points not argued are forfeited and shall not be raised in the reply brief, in oral argument, or on petition for rehearing." I attended a CLE seminar a few years ago at which the distinction between "waiver" and "forfeiture" was made exquisitely clear. (I've spent the last week looking for the materials from that presentation, without success.) Unfortunately, the distinction between the words can become blurred as soon as one begins reviewing the cases. This minor change may allow the distinction between the words to become more clear in case law. Essentially, however, there is an element of voluntariness in waiver. The "classic" formulation of waiver is that it is "the intentional relinquishment of a known right" -- but, in the law of insurance, for example, waiver need not be express, but may be implied from conduct (see, for example, Allstate Insurance Co. v. National Tea Co., 25 Ill.App.3d 449, 461 (1975)). Forfeiture also concerns someone failing to do something, but the reason for the failure is irrelevant: Either something (like raising a particular argument) was done or not done, and if it was not done, the right to do it thereafter is forfeited. See, Maniez v. Citibank, F.S.B., 404 Ill.App.3d 941, 947-48 (2010)("[f]orfeiture occurs when a party seeks to raise an issue on appeal it failed to raise in the lower court"). However the rule is formulated, one can only hope that it remains clear that the rule is a limitation on the parties, not on a reviewing court, which, in the interest of properly resolving a matter and doing justice to the parties, may choose to consider an issue that was otherwise "forfeited." The amendment to Supreme Court Rule 756 also appears to be an attempt to impose a more objective standard, this time in the area of attorney discipline. Rule 756(a)(8) concerns an attorney's right to seek permanent retirement status. The key provision of this rule is 756(a)(8)(C) which provides that disciplinary actions will be dropped against an attorney granted permission to permanently retire. Not surprisingly, Rule 756(a)(8)(A) requires the consent of the ARDC Administrator before the Supreme Court will grant permanent retirement. The new change to Rule 756 concerns Rule 756(a)(8)(B), addressing when permanent retirement status will be not be granted. Previously, permanent retirement was to be denied when the attorney's conduct was likely to result in actual prejudice to a client or third party unless restitution is made. Now, however, Rule 756(a)(8)(B)(3) provides that permanent retirement will be denied where "the attorney's conduct resulted in an actual loss to a client or other person and the Court's rules or precedent would allow for a restitution order for that type of loss in a disciplinary case, reinstatement case, or Client Protection Program award, unless restitution has been made" (emphasis mine). The amendment to Rule 352 is likely to be more controversial, at least with some sitting justices of the Appellate Court. Effective July 1, the last paragraph of Rule 352(a) has been amended so as to require oral arguments in many more appeals. This paragraph used to provide, "After the briefs have been filed, the court may dispose of any case without oral argument if no substantial question is presented. but this power should be exercised sparingly." Now, however, this paragraph of Rule 352(a) begins (emphasis supplied), "After the briefs have been filed, the court may dispose of any case without oral argument if no substantial question is presented but this power shall be exercised sparingly and only upon the entry of a written order stating with specificity why such power is being exercised in the affected case." But that's not all. A second sentence has been added to this paragraph by the May 25 amendment: "Notwithstanding the foregoing, oral argument shall be held in any case in which at least one member of the panel assigned to the case requests it." From what I've been told, when an appellate justice asks his or her colleagues to conduct oral argument in a given case, that request has usually been honored. But, obviously, these requests have not always been honored. While there may be some grumbling on the appellate bench in the short term, this rule, in my opinion, will be a benefit to the court in the long run: Courts need to conduct their public business in public. In every case in which oral argument is conducted there can be no doubt that the elected (or assigned) justices were actually involved in the decision-making process. Increasing the frequency of oral arguments will necessarily enhance the confidence of the public generally and the bar in particular in the appellate process. That said, I'm sure every appellate lawyer has had a case or three that they were just as happy to see decided on the briefs, and under Rule 23. I know I've had some over the years -- and, yes, like everyone else, I've dutifully requested oral argument in those cases, too -- but, presumably, these cases would not be called for argument even under this new Rule 352. The Supreme Court also amended Rule 39, concerning the election of associate judges. There is one stylistic change as well, but the substantive change is to Rule 39(b)(5), concerning balloting for associate judge. The first sentence of this rule formerly began, "Each circuit judge shall complete his or her ballot by voting for one candidate for each vacancy to be filled...." As amended, however, the sentence reads (emphasis mine), "Each circuit judge shall complete his or her ballot by voting for not more than one candidate for each vacancy to be filled...."
As FWIW readers well know, we did just have a controversial associate judge selection here in the County of Cook -- a ballot of 34 names, with 17 vacancies to be filled (16 have been selected; there was a tie for the 17th spot and a runoff is underway). So it is only natural to consider the change to the rule in the context of recent Cook County events. Initially I thought the change might be a codification of the practice of some judges deliberately undervoting -- the only means available for a judge to maximize the support he or she can give to favored candidates -- and one that I believe many judges have employed in prior associate judge elections. The more I thought about it, though, the more it seemed to me that this language represented a caution against overvotes. Why would that be necessary? Surely, no one with a vote would vote for more than half the candidates -- thereby spoiling the ballot and actually voting for no one -- right? However, I have confirmed with court personnel that the rule was amended as a caution against overvoting. Unsurprisingly, I have not learned why this amendment was deemed necessary, and at this time, just after a controversial Cook County associate judge selection -- and I don't expect to. But I will say this: coincidence alone does necessarily establish causation. So the timing of this amendment is merely coincidental. I hope. Supporters of Joel Chupack's 12th Subcircuit bid are holding a fundraiser for their candidate on Wednesday, June 20, from 6:00 to 8:00 p.m., at the Billy Goat Tavern, 1535 W. Madison Street. Tom Sam Sianis is the Sponsoring Host for this event. The Host Committee includes Deidre Baumann, Cook County Commissioner Dennis Deer (2nd), Brian Huffman, Roy Huffman, Marcin Kania, Ronald G. Ohr, and James "Jamie" Shapiro. Tickets for the event are $100 each, but sponsorships are available (Circuit - $250, Appellate - $500, Supreme - $1,000, Chief Justice - $2,500). For more information about the event, or to reserve tickets, email Sarah at mailto:chupackforjudge@gmail.com or call (224) 558-3888.